Where to buy the correct lamps in Perth? Buy Lamps in Perth, because they are an easy and affordable lighting solution. The sleek designer look adds to the style of your room, building, and property. I have shortlisted three lamp stores in Perth for you. Hope you find it useful! Beacon Lighting -- Your one-stop shop for modern lamps in Perth. Beacon Lighting offers a wide range of catalogue for modern lamps, traditional lamps, table lamps, floor lamps, LED lamps, and Desk lamps. The LED lamps are also energy efficient helping you to cut down on your power bill while upgrading the interiors. As of today, you can buy their Lamps online and they will be delivered to you in Perth. What’s more, as I type, they have an ongoing sale! West Elm -- Exquisite Perth lamps for your tables and floors. If you are looking for designer lamps in Perth, you might want to consider West Elm. Their designs are inspired by the globe, botany, and modern aesthetics -- all very much in line with the twenty-first-century interior. 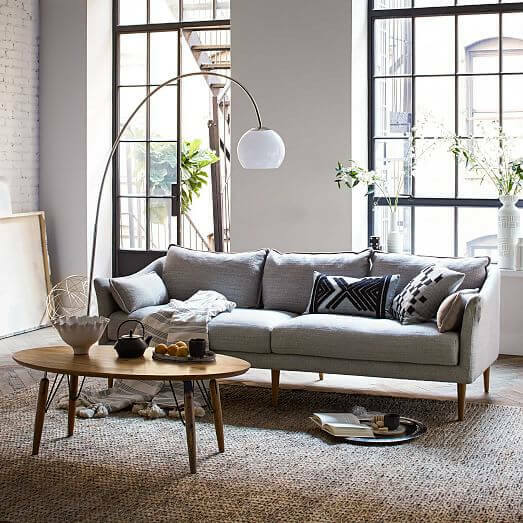 The minimalist look of the floor lamps will make your room seem spacious while helping you to focus light on a particular corner or area. Lighting Options -- Your commercial lighting and lamps store. Their portfolio is impressive! Even if you are not looking for a commercial solution at the moment, I recommend that you visit Lighting Options website to have a look at the scope, scale, and grandeur of their lighting projects. They cater to corporates, retail, hospitality, residential, community, public, and culture projects. Do you think they are the Perth lamp store for you? Where do you plan to buy your lamps from in Perth? Which is your favourite Perth Lamps shop? Leave us a comment to start a discussion about Lamps in Perth and more. If you need a team of friendly, efficient, and reliable electricians, then we would love to help you. Feel free to contact us for all your electrical solutions and to install lamps in Perth.